Is there a 'Western way of war' which pursues battles of annihilation and single-minded military victory? Is warfare on a path to ever greater destructive force? 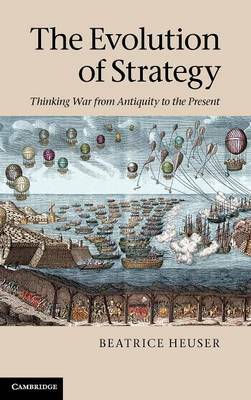 This magisterial account answers these questions by tracing the history of Western thinking about strategy - the employment of military force as a political instrument - from antiquity to the present day. Assessing sources from Vegetius to contemporary America, and with a particular focus on strategy since the Napoleonic Wars, Beatrice Heuser explores the evolution of strategic thought, the social institutions, norms and patterns of behaviour within which it operates, the policies that guide it and the cultures that influence it. Ranging across technology and warfare, total warfare and small wars as well as land, sea, air and nuclear warfare, she demonstrates that warfare and strategic thinking have fluctuated wildly in their aims, intensity, limitations and excesses over the past two millennia.